An occlusal analysis, mounted case is the definitive way to analyze the bite before balancing it. 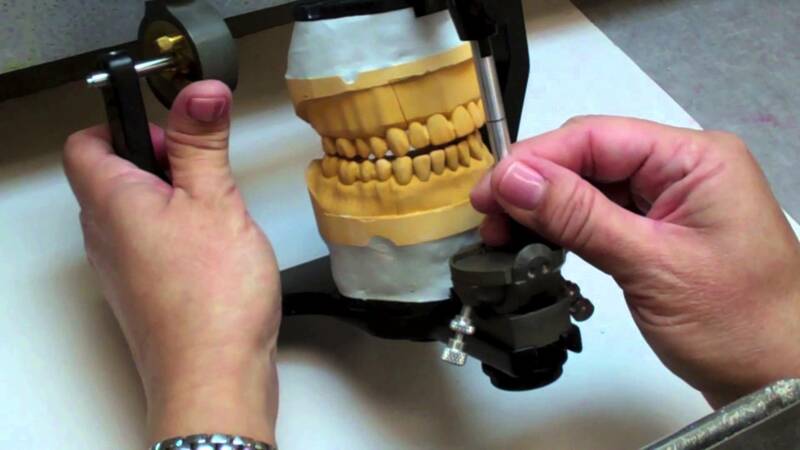 A few simple measurements are taken so that dental models of the patient's teeth can be mounted on a hinged device called an articulator (see below). The articulator duplicates the patient's jaw movement in the correct jaw position. I can now analyze the bite and determine what dental procedures need to be completed on the teeth to make them function in harmony with the jaw joint (TMJ) and the jaw muscles. An unbalanced bite can cause damage and pain to the oral structures. An Occlusal Analysis, Mounted Case, along with other analysis, allows the dentist to analyze the bite or occlusion in the correct jaw position. Mounted patient models being analyzed. the bite functionally and esthetically.